It´s alcoholic content is 52 proof. 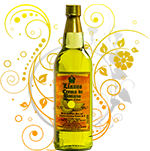 Originally it is an Italian liqueur but this one is made in Costa Rica. Its innovating aroma and fragrance evokes a spirit of freedom. Its unique enticements are given away by the almonds that share with us, the freshness and beauty of the four seasons at the Mediterranean Sea. 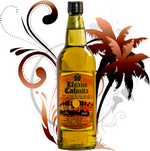 It is a provoking, intriguing and exotic 52 proof liqueur. The fruits are cultivated, grown, dried and processed in the tropical Atlantic rain forest zone of Costa Rica. This liqueur provokes and excites our senses to discover its deepest secrets that bring out temptation, lust and pleasures to the most demanding palate.